Thanks to an HBO series (no points for guesses), the word ‘Crypt’ has been more associated with horror than any other emotion. It might be very difficult for that influence to be broken and for people to step into the positive light for anything that starts with ‘Crypto’. Cryptocurrency has not been an exception to suffering this taboo-driven aversion. However, in the recent past, cryptocurrency has started to acquire a shimmer, and even a lot of mainstream Financial Institutions have started to appreciate the relevance, dependability and a plethora of other advantages offered by cryptocurrency in specific, and blockchain at large. Finance and Technology have always been in a love-hate relationship. The increasing demands of security, the world moving towards mobile and Internet-based transactions, and above everything, the globalization of Financial Institutions and transactions have made finance and Technology get into an unbreakable bond, resulting in the birth of the new domain called fintech. The advancement of fintech and the emergence of cryptocurrency have paved way for a lot of innovations and revolutions to happen in 2019, and in the future, that might seem a bit too distant but is actually not! Bitcoin flew to unfathomed heights at the end of 2017, and it fell again! For the uninitiated who knew bitcoin as just as a fad, it might have been yet another trend on the Internet. However, for those who knew the awesomeness of blockchain and cryptocurrency, which includes international players like Goldman Sachs, Fidelity, and JP Morgan, it was an indicator of the relevance of blockchain and the importance of cryptocurrency. The future looks at the world of cryptocurrency becoming a viable investment platform, and this process might involve some of the world’s largest financial and technological companies collaborating to create the magic. The fact that JP Morgan has launched Quorum, a finance-exclusive blockchain, is a clear indicator that cryptocurrency is making quantum strides. One of the biggest drawbacks of cryptocurrencies, in spite of the dependability and security, is that there aren’t many countries that have regulated the usage of cryptocurrencies in mainstream transactions. We have seen countries like Switzerland, Hong Kong, Malta and Gibraltar issuing guidelines and frameworks for Crypto assets. As a consequence of institutionalization of cryptocurrencies, you can expect more countries and governments to start regulating Crypto assets. It might not be a surprise to see even the most rigid constitutions like that of the United States and even India regulate Crypto transactions. 2018 saw a record of USD 250 billion raised through initial coin offerings (ICOs), although it has to be noted that the biggest chunk of this leviathan amount was raised in the first half of the year. This fall can be attributed to the isolated-yet-intense instances of fraud with ICOs. However, it might not be the case with STOs because security tokens are backed by solid hard assets like real estate, products, and even arts. Stable coins which have a direct linkage in their value to Fiat currencies will also start to play a major role in the Crypto finance area. They represent a fine line between the stability of a fiat currency and the advantages of the Crypto ecosystem. The world has already seen the advantage of virtual banks with Fiat currencies. It brings in accountability and facilitates smoother transactions, especially for government schemes. Bringing in the Crypto touch, we could have token and coin offerings confined to the digital space not just by Financial Institutions and banks but even by fintech Unicorn companies. In geographies and economies like that of Asia, this practice could change the retail and SME banking landscape. Just like how certain practices are expected to improve our physical and mental health, Financial Institutions and especially the fintech firms have dedicated a part of their efforts into improving the financial health of people. The indicators of financial health include savings, credit card liabilities and credit scores. Innovations like peer-to-peer lending and robotic advisors, catalyzed by the virtual banks might be able to make a huge impact which will result not only in better financial states of people but also in a considerable improvement with client-acquisition. When prominent people like Mark Zuckerberg were questioned by the Congress and revolutionary regulations like the GDPR are formulated in2018, data becomes a major concern. While data might have accelerated rapidly in breaching the territories of privacy for passive benefits like advertising, it might not be pleasing to see it extrapolate into the world of finance and banking. Understanding this aspect, cryptocurrency could very well be the solution as it operates over a blockchain where there is a perfect compromise between privacy and transparency. 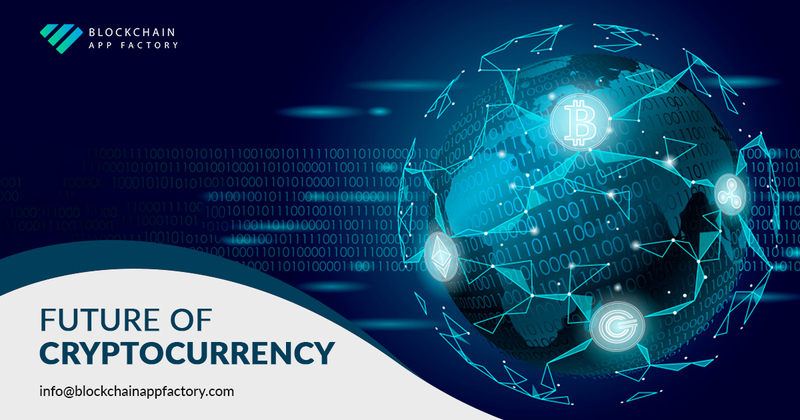 The concept of money might not have changed ever since its Inception but the way in which transactions happen and the involvement of different technologies have been changing ever since the time of barter and to this day in the time of banking. Cryptocurrency and blockchain are here to solve a few problems that were the offshoots of digital banking, and while it cannot conclusively be told that Cryptocurrency and blockchain are the Holy Grail of fintech, it is going to be quite a while before any malpractice happens in this realm!